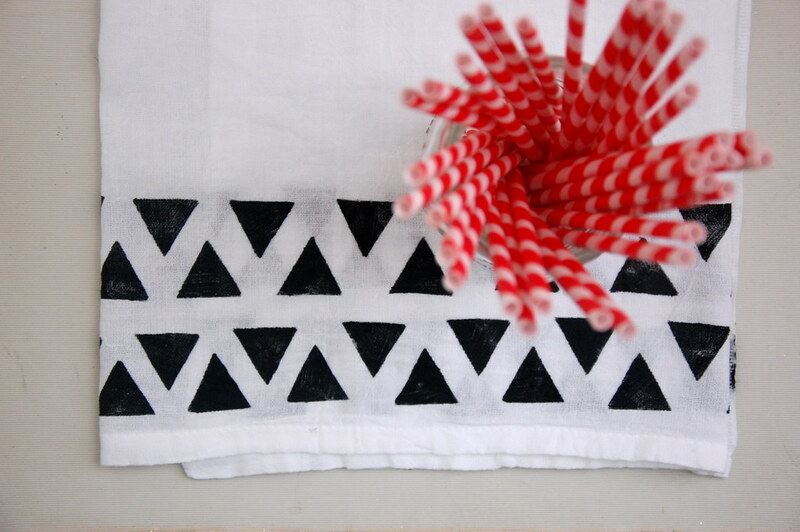 I love hand-printing so much, and with a little fabric paint or screen printing ink, you can easily print fabric. 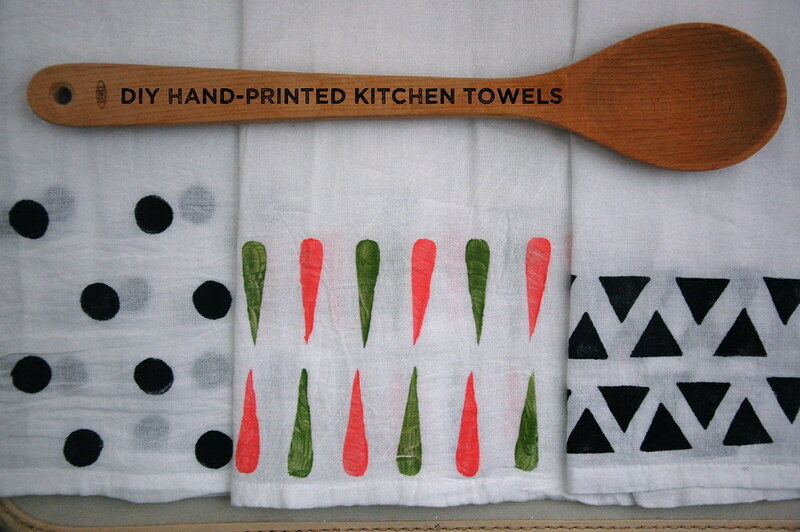 Printing kitchen towels is a fun idea - they're not too big, you see and use them all the time, and you can buy plain, printable ones cheaply and easily. I used a pack of flour sack towels from Target. 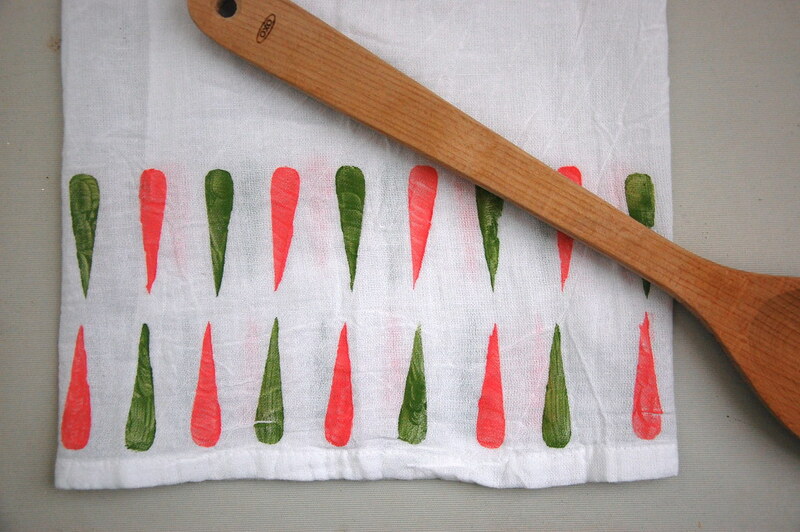 I love the simple, woven look they have, and they actually are great kitchen towels! Let's start printing! 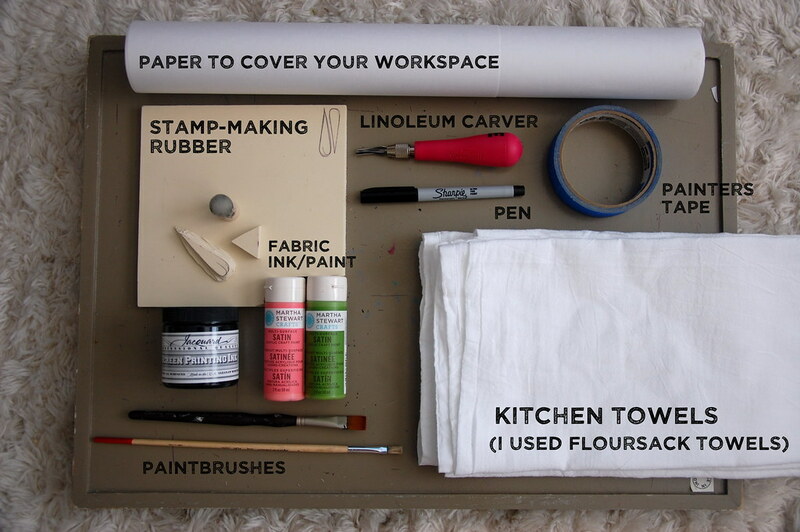 First, tape some paper down to cover your workspace from the paint that bleeds through the towel. I put a strip of tape across my towel, to help me keep a straight line while printing. You don't have to print up to the line, but it helps keep things neat. 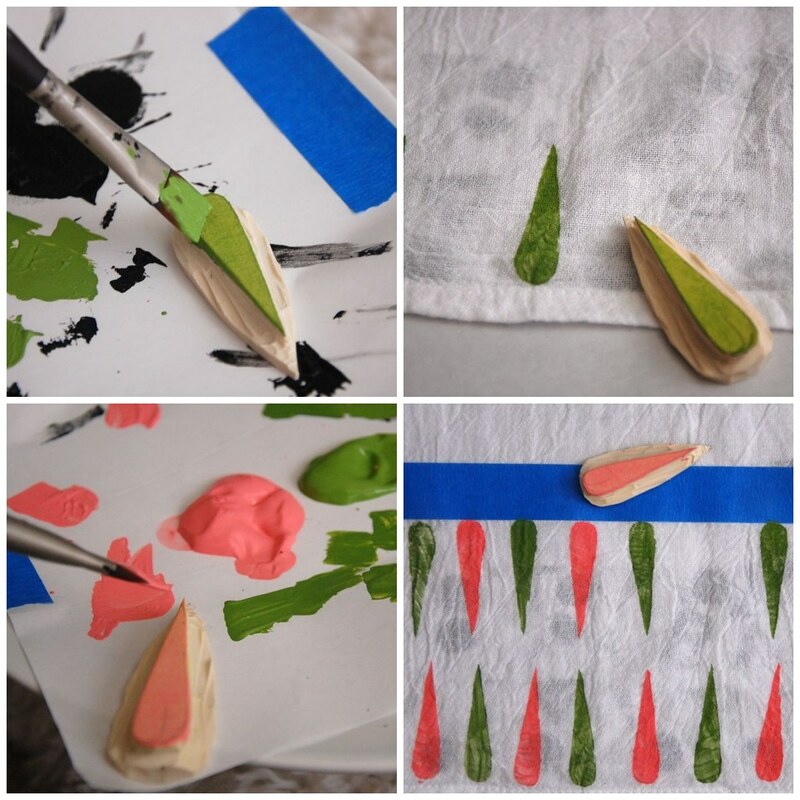 If you're using a rubber stamp you made, first paint the stamp with a thin but even layer of paint. 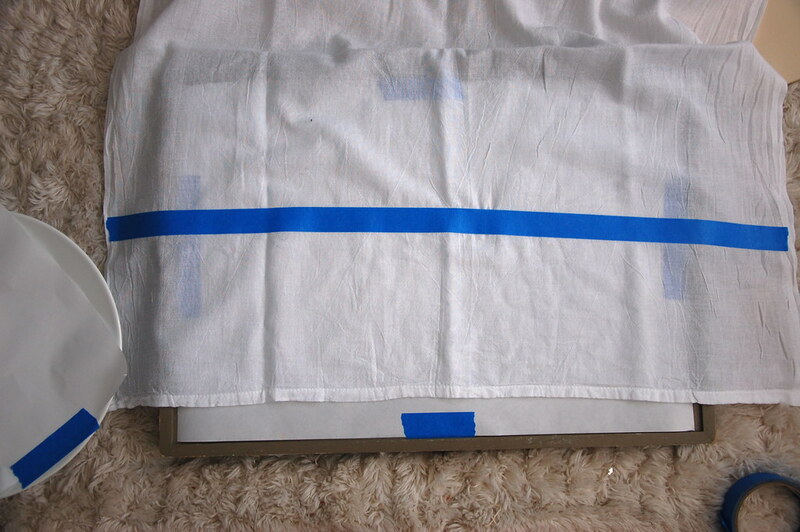 Then stamp it onto the fabric, applying pressure evenly all over the stamp. You might have to experiment with how much ink to put on the stamp to get the look you want. Reink and repeat to complete your pattern. Printing more than one color is just as easy. 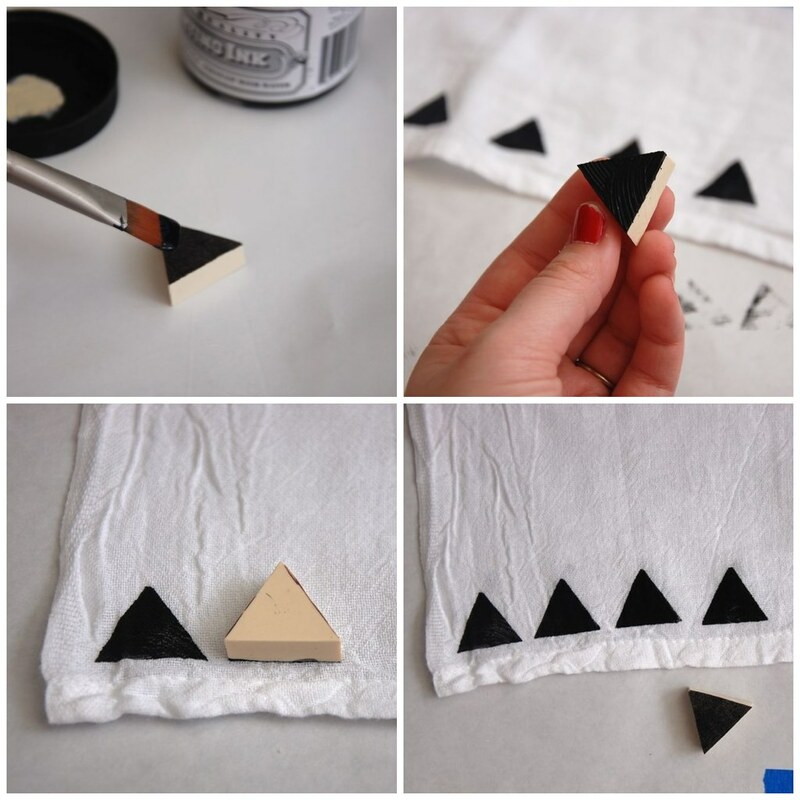 Just print all of one color, then wash the stamp, and fill in the pattern with the other color. 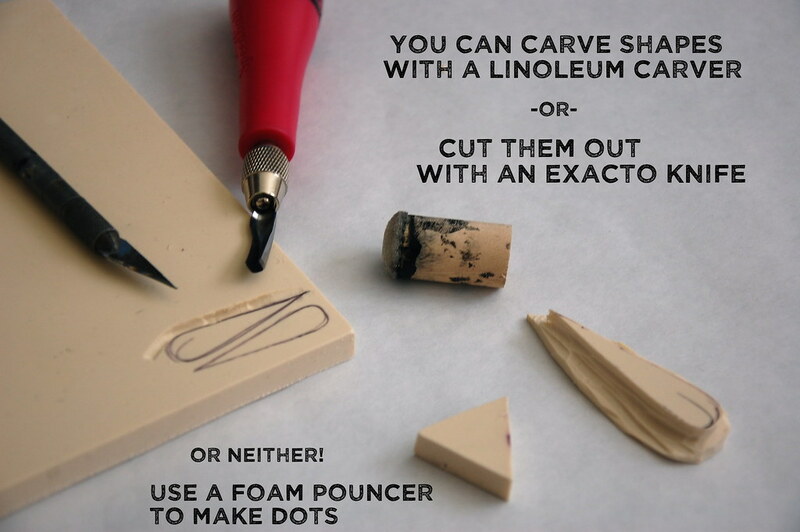 For making dots with the foam pouncer, you'll need a space where you can ink your pouncer. Put some paint down and make sure all the foam is wet with paint or else you'll get empty spots. Pounce some off, then stamp down onto fabric. Reink and repeat. 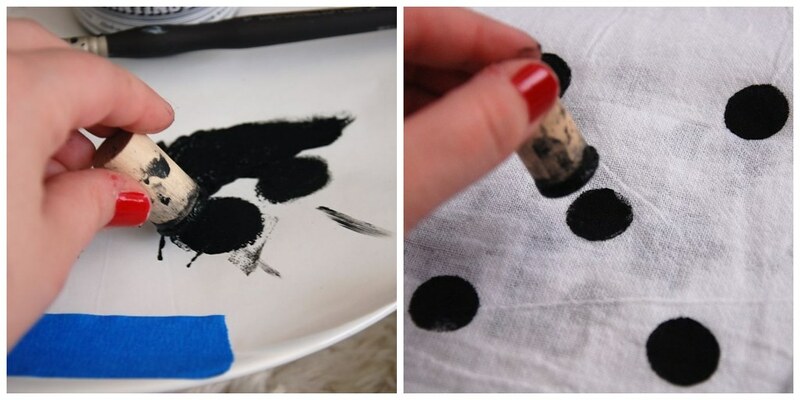 Most fabric paints and inks have directions on the container for setting the ink once it dries, so it doesn't come off in the wash. It's usually just ironing or a run in the dryer first. This is not the quickest project, but it's really simple and actually relaxing...since you're repeating one step many times. But the results are one-of-a-kind, and you can create so many different looks. 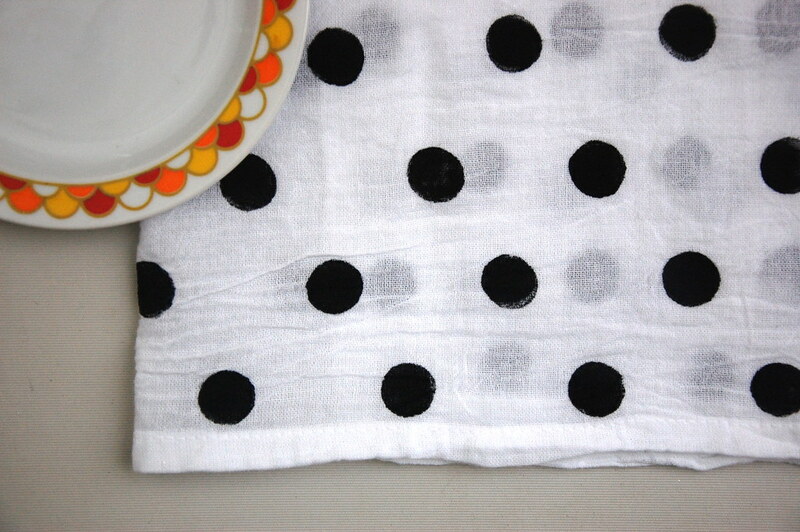 If anyone ends up printing some towels soon, show me what you do! I've seen this idea around a lot but this is really cute, much better than others!!! Omg, this is so great! I am going to show my husband, he will love this! found you via <3elycia and i guess i scrolled and clicked around enough to make me an official creeper. . uhh i mean fan?! anyway, just wanted to say that i LOVE this diy. 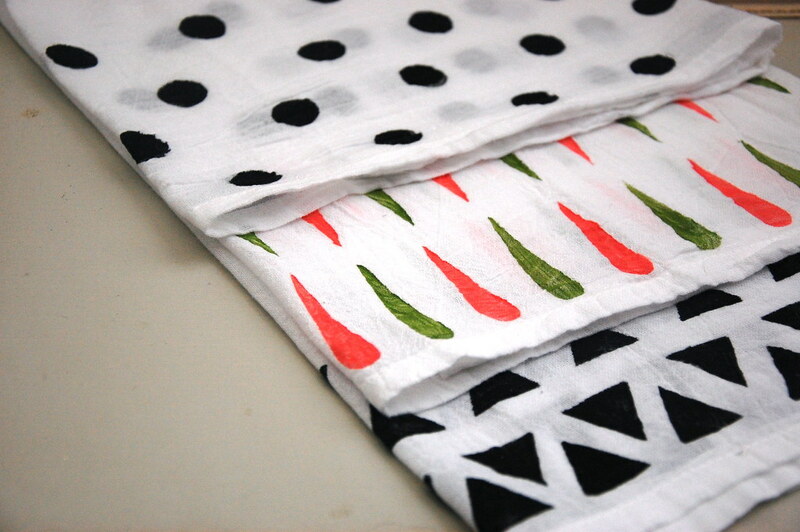 i have been wanting to print on some thrifted dresses but i never even thought of kitchen towels. cant wait to use this info in the future, thanks! 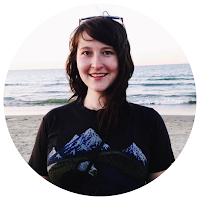 All photographs and text on this blog are property of Jesse MacKenzie/Well It's Okay unless otherwise stated.